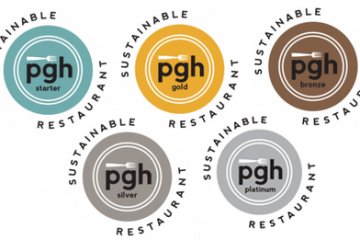 Winners of the 2018-2019 Sustainable Pittsburgh Challenge. Photo courtesy of Sustainable Pittsburgh. Nothing like a little friendly competition between eco-warriors. On March 21, the environmental advocacy group Sustainable Pittsburgh announced the winners of this year’s Sustainable Pittsburgh Challenge, a 13-month competition encouraging various organizations in the region — including businesses, nonprofits, schools and local governments — to further sustainable practices. While the competition mostly focuses on environmentally-conscious policies, the challenge also awards points for social and cultural initiatives. Previously known as the Pittsburgh Green Workplace Challenge, the free, open competition enables organizations to track their sustainability performance and receive public recognition for their achievements. 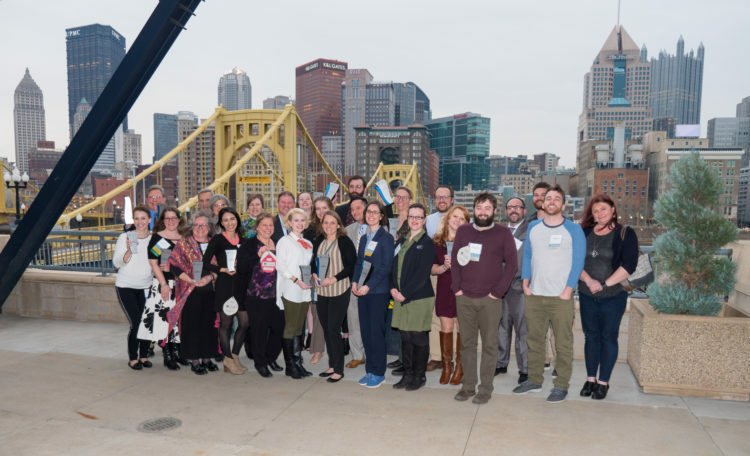 Sustainable Pittsburgh celebrated the winners with an event at PNC Park on the North Shore on Thursday night (pictured above). 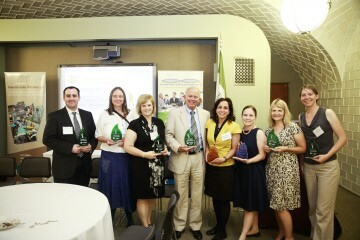 Altogether, the energy savings generated by this year’s 100-plus participating organizations totaled $6,274,423. While the list of awardees for 2018-2019 includes a number of returning champions, like Carnegie Museums and the Borough of Monaca, several winners were competing for the first time, such as Tetra Tech and 3R Building Sustainability. The Borough of Etna had a banner evening, taking home the People’s Choice Award, the Micro Municipality Award and the Top Energy Saver Award (a reduction of 25% in one year!). The organizations used a wide range of strategies to reduce their energy footprint and build a more inclusive workplace, such as monitoring indoor air quality, implementing diversity policies for partner groups and organizing carpools among workers. Small Nonprofit: Conservation Consultants, Inc.
More information about the contest and this year’s winners can be found here.